The other week I attended an online homemaking conference hosted by another blogger (Jami Balmet over at Young Wife’s Guide). It was such an encouragement and just what my homemaking heart needed. I was actually considering sitting it out this year. I didn’t want to spend the money, and the theme (Achieving Balance) didn’t sound like something I really needed… or so I thought. But a few weeks ago, our pastor was preaching on Sunday morning (a sermon I actually got to sit through without being called to the nursery for my crying child), and he was discussing how Jesus took every opportunity He could to grow His disciples faith and walk with Him. God spoke to me and told me that I needed to take this opportunity of attending the conference to grow spiritually and strengthen my walk with Him. His ways are higher than our ways and His thoughts than our thoughts. He knew that I needed the help and encouragement that I could get through this conference. Were the lessons profound and mind blowing? No. Not all of them. Mostly they were simple, applicable, and practical things that I have heard before, but forgotten. Isn’t it funny how things can slip our minds like that? For example, one session was “Finding Balance in Scripture Memory.” We know that it’s good to hide God’s Word in our hearts, and we emphasize scripture memory to our children and students; but once we hit adulthood and are no longer in those kid’s programs or Christian school classrooms, we stop memorizing. I am so guilty of this! In fact, it’s been so long that when I’m in the midst of a situation that I have memorized the perfect verse for, I don’t even think about that verse because it’s been years since I last quoted it! Instead I try to figure out the problem myself. This is just one of the lessons that God showed me through the conference. I’ll probably share a few more in the coming weeks, but for now, I would like your help with something. 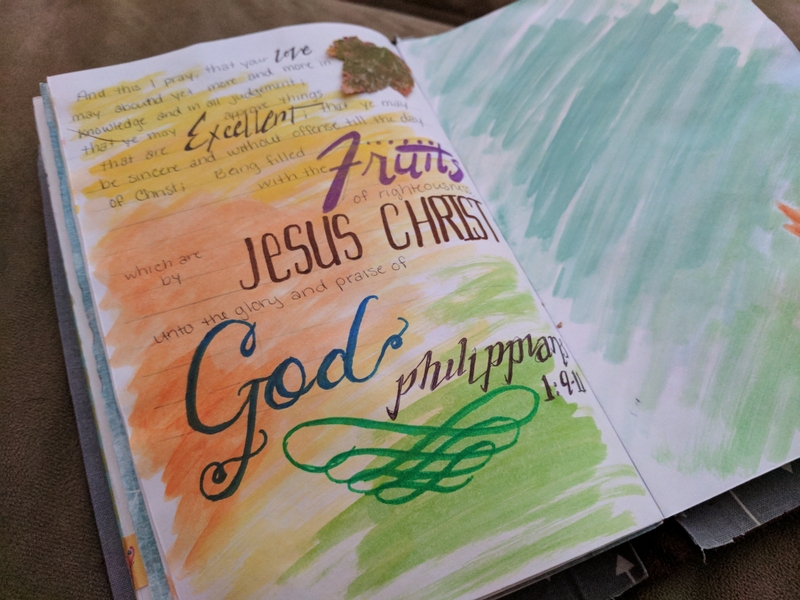 Dear faithful readers, I am going to start a weekly series called Scripture Saturdays. Each Saturday I will post a short passage of scripture and a breakdown of it’s meaning and application (dissecting and defining). I have found that understanding what a verse is saying makes memorizing it a lot easier. This is where you come in. Would you grow with me? Take the time to write down the passage somewhere you will see it throughout the day (it can be simple or fancy… doesn’t matter as long as you see it and take the time to read it) and memorize it with me. Let us learn more about our great God together and grow together in our faith.